She said goodbye to another body she knew as home. Another soul that had almost become her own. But as much as she loved him, he never understood that home was never a place. Home was his arms, home was his heart. Home was something no one but themselves could tear apart. Home provided happiness like no other because happiness was never about the places explored or the personal battles conquered. Happiness was seeing those beautiful eyes and smile time and time again. Home was about having a lover and friend. But home was a one-way stream, home, in reality, was nothing more than a dream. An idea that was never fulfilled and was easily killed because at the end it was all about the thrill. One could only hope to find a home within themselves, but it’s much more common to try and make a home in someone else’s heart. Human beings are social beings. Wow thank you for your robust post. You really made me see the value of this poem and its quality but most of all think of the poem on a new perspective, thank you for taking of your time to leave a comment. Lovely and wistful. It is hard not to want home to be someone else. 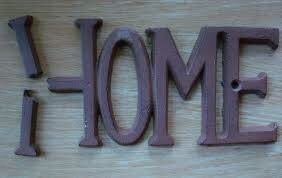 And it is not easy to live in oneself as home. Thank you very much. I definitely agree with you there.